The notepad has a picture of freesia flowers which can be seen through the aperture on the cream front cover. It is a useful size to carry in a handbag or to leave by the phone and makes all notes a pleasure to see. 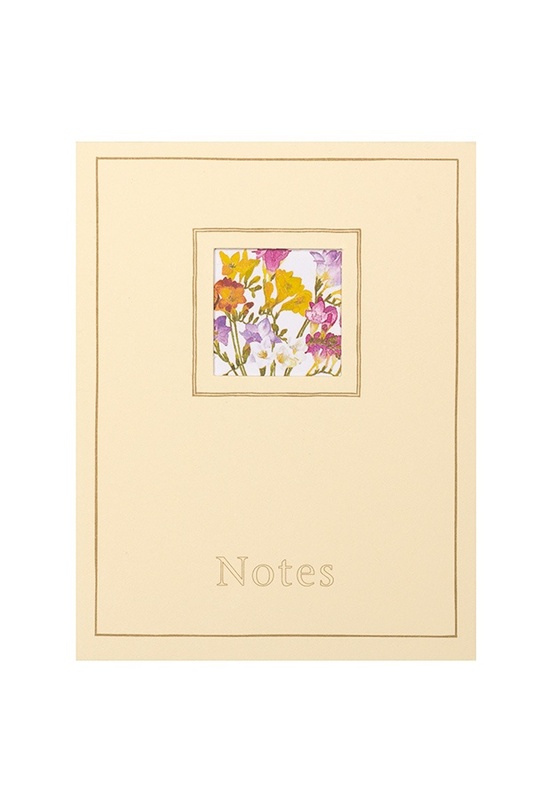 This mini notepad measures 123 mm x 95 mm and has an image of freesia on every page.